Buddha Birthday celebrations vary from place to place according to the different schools of the faith that have developed. 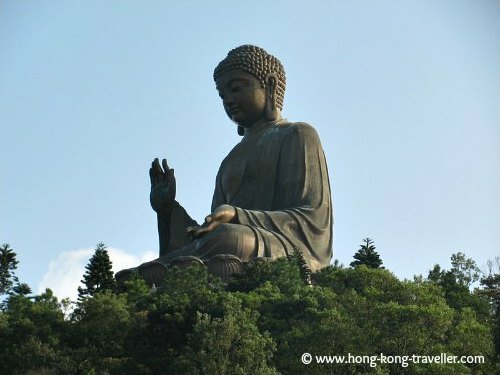 In Hong Kong, the birthday of Lord Buddha remains one of the largest Buddhist festivals and it is a National Holiday celebrated on the 8th day of the 4th moon in the Lunar calendar, normally in April or May on the Western calendar. In 2018 it will be on May 22, 2018. 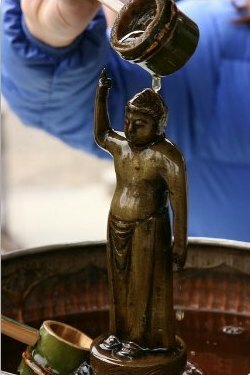 Water plays an important part of the festivities as images of the Buddha are bathed to signify spiritual purity. During this cleansing ritual which involves bowing and offering a prayer, a ladle is filled with water and poured over the Buddha statue. The meaning of the rite is purification of your own soul. Worshippers and the public can participate in the Bathing ceremonies as well as other activities including group chanting and prayer sessions, vegetarian cooking demonstrations, kung fu and cultural performances. 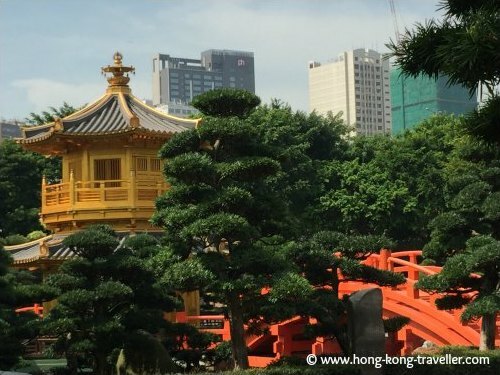 This is a wonderful week to visit some of Hong Kong's buddhist temples and shrines as they will be bustling with activity. It is a great way to get a peek into the old traditions and customs of Hong Kong. Here's what's going on at some of the city's most notable venues. 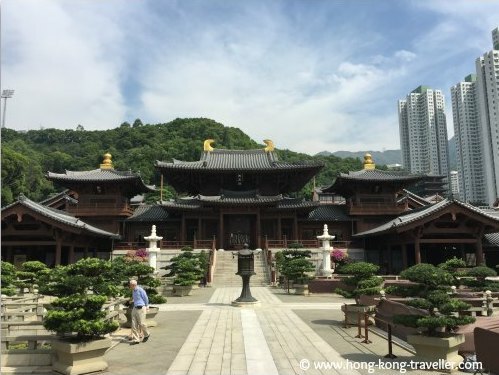 One of the major celebrations in Hong Kong takes place at the Po Lin Monastery in Lantau Island where the Tian Tan Big Buddha sits nearby. This is also one of Hong Kong's major attractions and one of our favorite day trips. 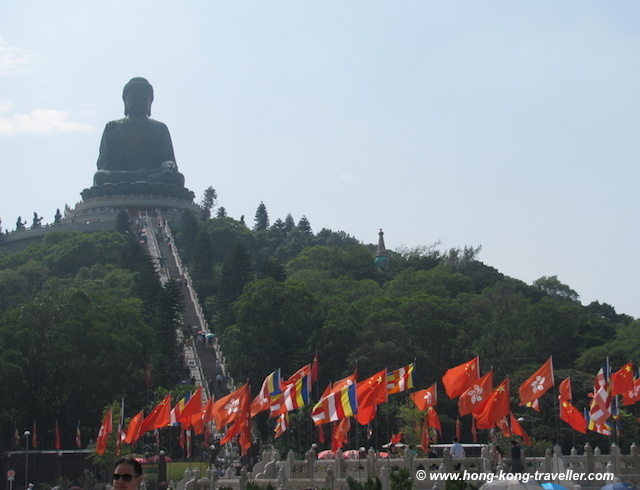 Getting there with the fantastic Ngong Ping Cable Car is the icing on the cake. What? : Cultural Performances including Shaolin Kung Fu, Acrobats, Face Changing, etc. This organization has been hosting large-scale "Bathing Buddha" ceremonies since 1999. In 2012, a special celebration took place when the Association organised a Grand Blessing Ceremony dedicated to all citizens of Hong Kong to commemorate the 15th Anniversary of the handover to China. The highlight of the celebration was a one-in-a-lifetime opportunity to see the Buddha's Parietal-bone Relic which was brought to Hong Kong for the first time. This relic is believed to be a part of the skull of the Supreme Buddha Sakyamuni, the only known in the world and naturally one of the highest spiritual objects in Buddhism. The celebrations are currently held in the Hong Kong Coliseum. Non-Buddhists are welcome to join. 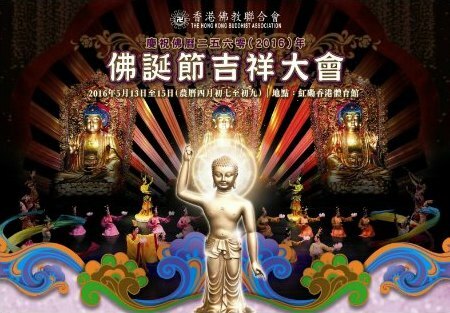 This year, the Hong Kong Buddhist Association will hold a large-scale blessing ceremony to celebrate the Buddha's 2562nd birthday with the public. The three-day celebration will include the Bathing the Buddha Ceremony, Sutra Chanting Ceremony, Refuge Taking Ceremony, Dharma talks and a charity concert. More Info: www.hkbuddhist.org (In Chinese) or call +852 2574 9371 for details. In Sha Tin, the New Territories, this is also a great place to check out the celebrations. 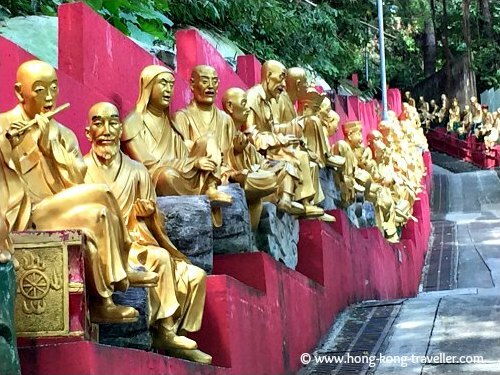 There is a steep climb to reach the Monastery, but it is well-worth it! Not recommended for wheelchair-bound travellers. Organised by the Buddha's Light International Association of Hong Kong, this is a big celebration with more than 100,000 people attending. 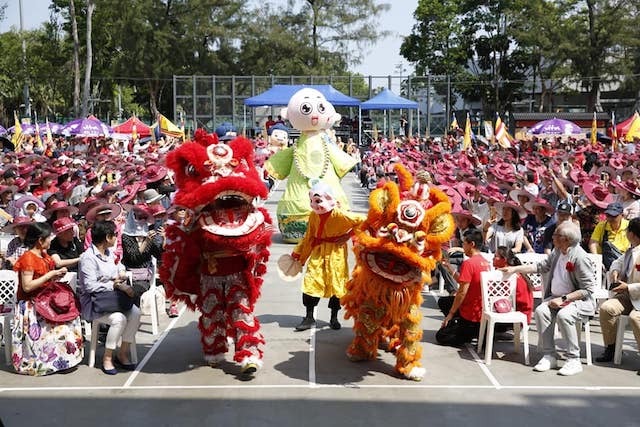 The celebrations include a vegetarian food fair, carnival games, a flower show, arts and crafts, as well as a "Kid's Paradise" entertainment zone. The public can take part in rituals such as bathing the Buddha, wish-making, meditating, and sutras calligraphy, which serve to purify one's mind. 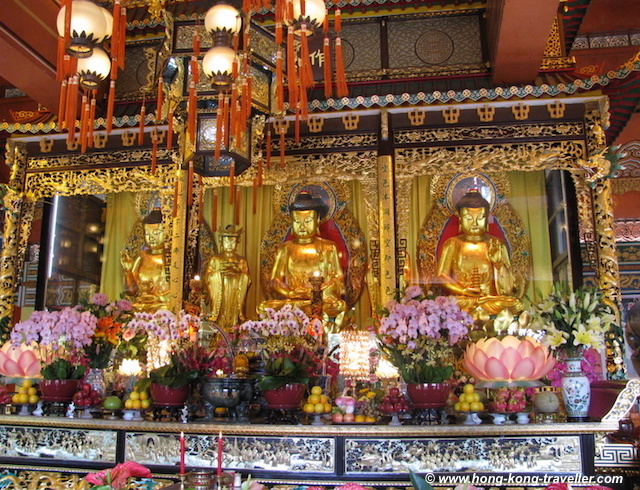 Here's more on Hong Kong Religion, Traditions and Temples.